Dr. Daniel Zorn is a 2011 graduate of Palmer College of Chiropractic in Port Orange, Florida. Prior to chiropractic school, Dr. Zorn attended the University of Pittsburgh where he received his Bachelor of Science degree in Biology. A graduate from Hopewell High School, Daniel has close ties to the surrounding community. 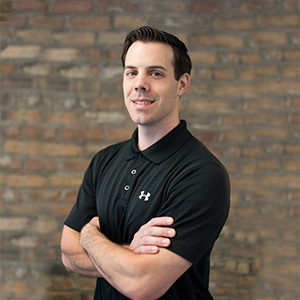 Following graduation from Palmer College of Chiropractic, Dr. Zorn chose to move back to the area taking an associate position outside of Pittsburgh. With the advice from family and friends and support of the community, Dr. Zorn was fortunate to open his own office in the town he was raised in allowing him to give back and stay active in the community and as much as possible. In November 2017, Skyline Chiropractic and Sports Medicine in Hopewell celebrated its 5th anniversary. Dr. Zorn is a member of the Beaver County Chamber of Commerce and the Pittsburgh Area Chamber of Commerce. Dr. Zorn and his wife, Dr. Samantha Gormley, currently reside in Clinton, PA. In their free time, they enjoy traveling, spending time with friends and family, and attending community events. We would love to help you reach your health and wellness goals at Skyline Chiropractic and Sports Medicine. Contact us today to schedule your visit. We have Saturday appointments available and accept health insurance.